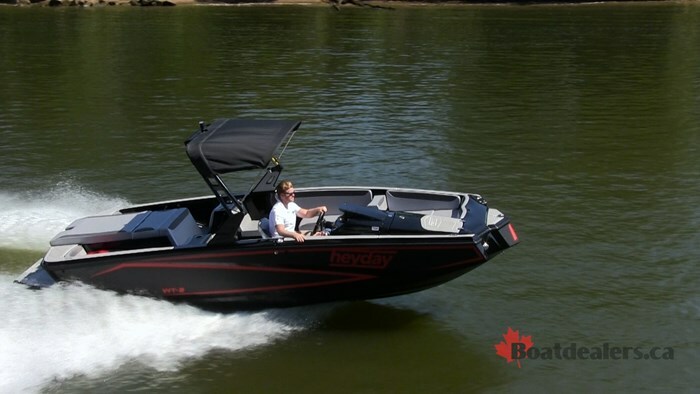 When Heyday Inboards set out to create the industry’s first truly affordable inboard towboat, they didn’t do it by using cheaper materials. 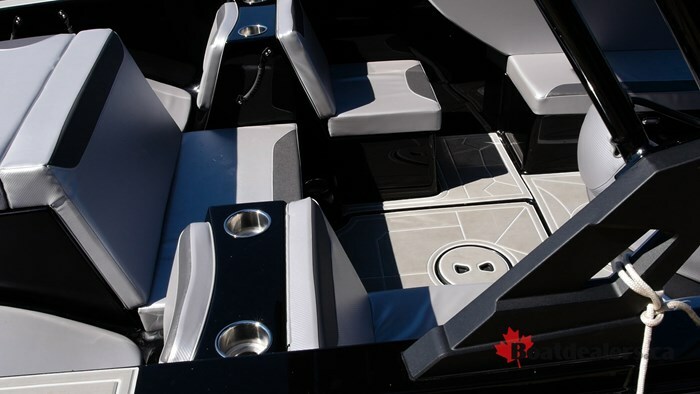 Aimed with a blank canvas, years of experience and some fresh thinking, the industry was introduced to the WT-1: a center console inboard with a unique, yet purpose built hull design. Skeptics who didn’t bother to give it a fair shake missed out on something special. 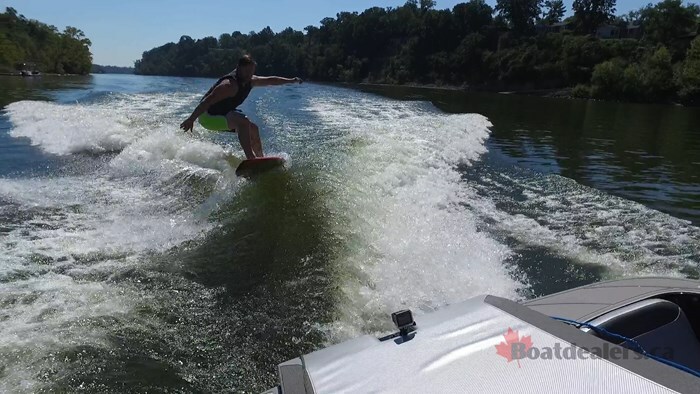 The WT-1 delivered a top quality wakeboard wake and a large surf wave at a fraction of the price of the other guys. Now the goal is to scale it bigger. More room for people, ballast and bigger waves, enter the WT-2. Rather than take the easy way out, Heyday started from scratch again, coming up with an entirely new deck design, again something not seen in the inboard world: a side console. At 22 and a half feet, the WT-2 is significantly bigger than the WT-1 yet with its 8 foot beam and 3450 lb dry weight, it remains tow vehicle and garage friendly, perfect for those weekend warriors. 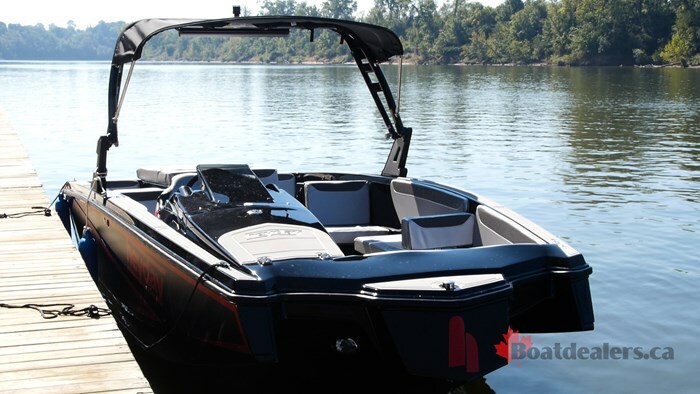 When you look at the WT-2 at the dock, you know it’s a Heyday by its distinct styling, but it is a completely new boat for 2017. 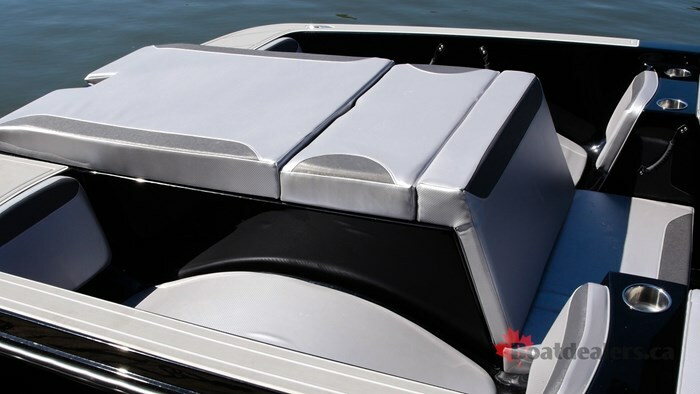 The side console design is a passenger and space friendly layout often seen in pontoons and deck boats, two vessels known for those things. The console is pretty much the same as the WT-1, it’s just now mounted on the starboard side. There is still the very large board and gear locker forward of the helm. 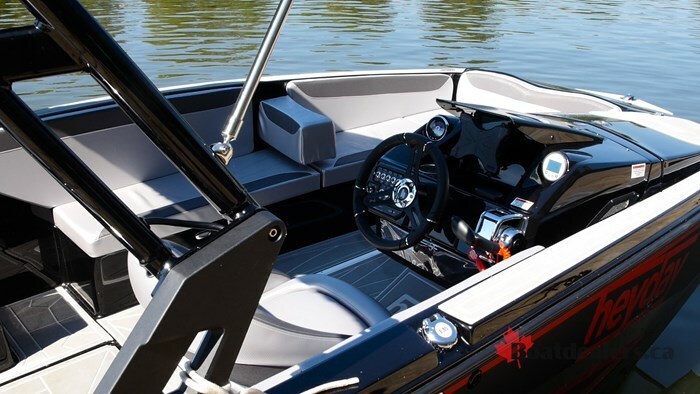 The helm itself is still simple with the tilt steering wheel, double row of billeted aluminum toggle switches and that open space where you can mount a tablet for a digital gauge system. Speed control is still ran through the Zero Off gauge system, the ballast through two simple switches that clearly instruct either “fill” or “empty” for both right and left side. The tunes are still controlled through a WetSounds Bluetooth soundbar. The rest of the space in the cockpit has one priority: seating for your crew - after all that is the mantra of the company, Wake, Tunes, Crew. There is a large L shaped seating area that spans from midship across from the helm, towards the bow and around to the starboard side. This is going to allow you to bring the most amount of guests and still have plenty of room to move about. 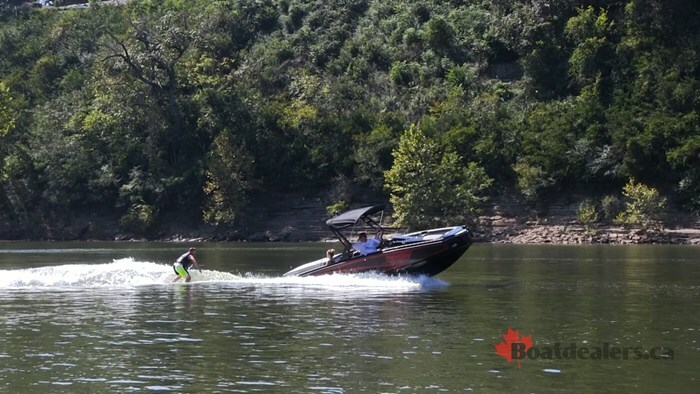 The seating continues right behind the wakeboard tower with two pod seats that flank a center bench that sits directly in front of the engine dog house. As you can start to see, seating isn’t an issue with this new WT-2. On top of the dog house is that same sunpad that we first saw on the WT-1 but on each side of it is something that I think is special. On each side of the doghouse there is a lounge with two backrests so you can sit either facing forwards or backwards. But in between them, rather than have the base be flat, it has a curved arch shape to it, kind of like what you would see in a hot tub. In fact, that’s what Heyday is calling them: their Hot Tub rear loungers. It’s such a simple design yet they’re so, so comfortable. Something the WT-1 lacked was drink holders. The thing about drink holders is that they’re rarely used for drinks, but rather commonly used for cell phones, sunglasses, sunscreen, etc. So the inclusion of multiple drink holders on this WT-2 is an insightful addition. It didn’t take long to sell me on this WT-2. Having spent some time on the WT-1 I was already a fan and I viewed this as a well thought out evolution of the series. But what got me most excited was that this boat was bigger, had more ballast and weighed more than the WT-1, which means the surf wave should be that much better. So after poking around the docks for long enough it was time to put on the boardies and head out. If you’re not really into tow sports you may find this hard to believe, but your ballast placement is almost a science. Every pound matters and where that pound goes is important. But as nice as it is to have all those controls to put only 30% in the front left corner and 85% in the middle right tank it can all get very complicated and sometimes causes more bad than good. That’s why there is something refreshing about Heyday’s system of simply “Fill Right” since that’s the side I surf. From here you can get granular with the people in your boat, they’re the easiest to move around when dialing in. As I hopped into the river on this exceptionally warm September day in Tennessee I already had an idea of what to expect, having rode behind the original WT-1. So when my board was set I shouted into the boat and I was on my way. The wave developed immediately, a characteristic I have come to appreciate with Heydays, and soon I tossed the rope into the boat. This wave was similar to what I had experienced behind the WT-1 but it was just bigger in every aspect. It was slightly longer, a little taller, a little beefier, all of the things I had hoped it would be. It’s an easy wave to surf and would be perfect for beginners because it has a large sweet spot, is very forgiving and still has lots of push towards the back of the wave. If you start to fall back simply lean towards the boat and it will shoot you back in without effort. This will be reassuring for those who want to get into surfing but don’t want to put their mortgage down on an expensive inboard. To know you are getting all the features you need, at a fraction of the price is a huge relief. There are some compromises to be made, but none of them are going to be where it matters most - the wake and the wave. The general running characteristics of the WT-2 really impressed me. With the WT-1 it had a lot of power, so much so that it needs a trim tab to help keep it running smoothly. 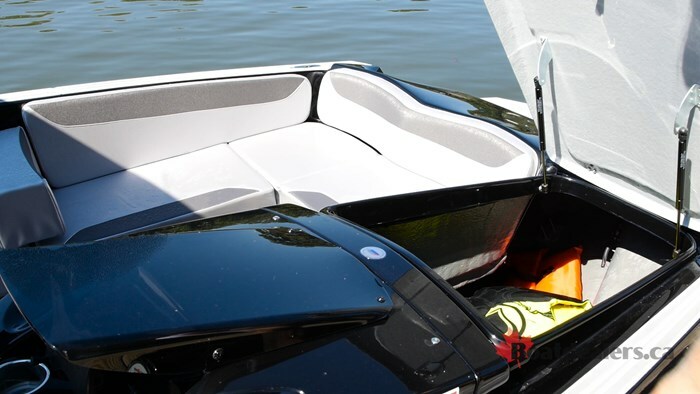 With the WT-2 that longer running surface and heavier mass are better suited for that 350-hp PCM Challenger engine and while it still shoots out of the water like a rocket, it runs much smoother, so much so that you can pretty much put that trim tab up to zero depending on how many people you have in the boat. Time to plane was just under 3 seconds and a comfortable “back to dock” speed was 27 mph at 3000 rpm. Top speed isn’t that important for inboards but for those who were curious it was 38.8mph. When I spent time with the WT-1 it was almost like I was convincing myself that it would work. And while I left that test very impressed and sold on the concept, I was curious how it could be scaled. With the WT-2 there are no doubts, no questions, no concerns. I like to call it an evolution because the Dorton’s took what they learned from the WT-1 and expanded it into a functional, user friendly tow boat with a great price. This new WT-2 is going to be the rock star of this growing Heyday lineup.